Liquid Limit Device (Motorised) for Soil Testing - Fitted with a motor geared down to give approximately 120 rpm. Suitable for operation on 230 V A.C., Single Phase, 50 Cycles. Casagrande method in mechanical form is known as liquid limit method and has been in use for soil mechanics for a number of decades. The liquid limit data of soils is useful to correlate mechanical properties of soil, such as compressibility and lower shear strength. Liquid limit is the water content at which soil passes from zero strength to an infinite strength, hence the true value of liquid limit cannot be determined. For determination purpose liquid limit is that water content at which a part of soil, cut by a groove of standard dimensions, will flow together for a distance of 1.25cm under an impact of 25 blows in a standard liquid limit apparatus. The soil at the water content has some strength which is about 0.17N/cm. sq. (17gms/sq.cm.) . At this water content soil just passes from liquid state to plastic state. It consists on a brass cup held on an adjustable bracket. The cup can be adjusted for a fall of 1 cm and can be raised an dropped on a rubber base of standard hardness by cam action. 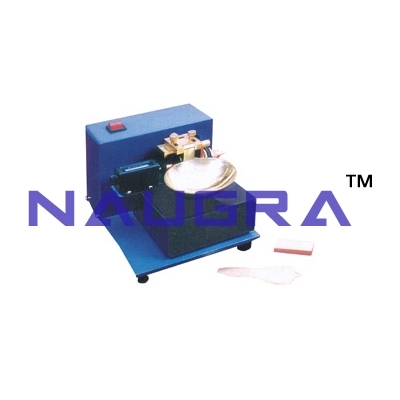 Complete with one Casagrande grooving tool, one ASTM grooving tool and a height gauge block..
We are leading manufacturers, suppliers & exporters of Liquid Limit Device (Motorised) For Testing Lab for Soil Testing Lab. Contact us to get high quality designed Liquid Limit Device (Motorised) For Testing Lab for Soil Testing Lab for schools, colleges, universities, research labs, laboratories and various industries. We accept bulk orders for government tenders in all countries around the globe.